Let's face it - English is a crazy language. There is no egg in eggplant, nor ham in hamburger; neither apple nor pine in pineapple. English muffins weren't invented in England or French fries in France. We take English for granted. But if we explore its paradoxes, we find that quicksand can work slowly, boxing rings are square and a guinea pig is neither from Guinea nor is it a pig. It will take UP a lot of your time, but if you don't giveUP, you may wind UP with a hundred or more. Would-be poets, young poets, those who write a poem a year or prolific poets, this book is an inspiration as well as a tool shed. If you don’t use it as a workshop (which it is), use it to expand your range. 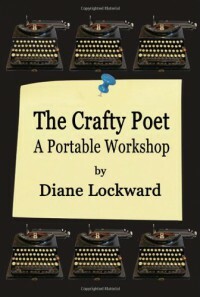 THE CRAFTY POET is a book which should be on every poet’s bookshelves. It also brings us down to earth by pointing out that there is as much craft as there is inspiration in creating poetry. Instead of a couple of quick-'n-dirty sentences and the odd prompt, Diane Lockward has created an outstanding poetry recipe book, from a poet’s ‘how I write a poem’, through a nifty analysis of the sample poem, to poems written in response to the prompts. You get stuck sometimes? Don’t we all. When you feel you’re in the doldrums, browse through THE CRAFTY POET and I bet it’ll get your creative juices flowing again (or just read it for entertainment). Everybody has, on occasion, looked up a word in a dictionary and let their eye wander to the next word and thought: "Really? There's a word for that? ", whether it's the little plastic aglets on the end of your shoelaces or the nurdle of toothpaste squeezed onto your toothbrush in the morning. I have simply had that feeling more than most. In the end, I collected all the useful but forgotten, and obscure but necessary words I found in dusty, old dictionaries, and arranged them by the hour of the day when they might come in handy for my book about lost words, The Horologicon. Here are 10 of my favourites. Wamblecropt means overcome with indigestion. Once upon a time, you might observe that your stomach was wambling a bit. If the wambles got so bad you couldn't move, you were wamblecropt. It's the most beautiful word in the English language to say aloud. Try it. Sprunt is an old Scots word (from Roxburgh, to be precise) meaning "to chase girls around among the haystacks after dark". I would dearly love to have lived in a time and a place where this was such an everyday activity that they needed a single-syllable word for it. Old dialect words give us a glimpse of lost worlds, and sprunt is my favourite glimpse. Another old Scots word, to groke is to gaze at somebody while they're eating in the hope that they'll give you some of their food. The word was originally used to refer to dogs – and any dog owner whose canine friend has salivated beside them while they eat a steak will know why – but it can also be used to describe that colleague who sidles up to you from across the office when you open a box of chocolates. Uhtceare is an Old English word that refers to anxiety experienced just before dawn. It describes that moment when you wake up too early and can't get back to sleep, no matter how tired you are, because you're worried about the day to come. Snollygoster is a 19th century American word for "a dishonest or corrupt politician". Or, to take an original definition from the editor of a Georgia newspaper: "a snollygoster is a fellow who wants office, regardless of party, platform or principles, and who, whenever he wins, gets there by the sheer force of monumental talknophical assumnacy". The only reason I can imagine such a delicious word would die out is that all politicians are now honest. Ultracrepidarianism is when you give your opinion on a topic about which you know nothing. What makes this word so useful is that nobody knows what it means. Tell someone they are ultracrepidarian and they'll probably consider it a compliment. I found gongoozle deep in the Oxford English Dictionary while I was researching The Horologicon. To gongoozle is to stare idly at a canal or watercourse. At the time, I thought it a weirdly precise and unnecessary word, but since then I've noticed gongoozlers everywhere. Walk along a riverbank or seafront on a sunny afternoon and you'll see lots of people happily gongoozling. I realised that I'd been gongoozling for years; I'd just never known the word. To snudge is to stride around as though you're terribly busy, when in fact you are doing nothing. It's particularly useful for the modern office, especially with the invention of the smartphone. You can snudge around all day without anyone realising you're checking up on the score in the Ashes. Feague is a term from around the 18th century that means to put a live eel up a horse's bottom. Apparently, this was a horse dealer's trick to make an old horse seem more lively, which I suppose it would. But it does imply that you should never trust an 18th century horse dealer – especially if you're a horse, or an eel. I hope you find no use for this word. In 2012, a chap who walked into Auckland City Hospital, in New Zealand, could have saved himself a lot of embarrassment if he had simply announced: "I need to be de-feagued". Benjamin Franklin, when he wasn't inventing bifocals and supporting the American Revolution, collected slang terms for being drunk. This is my favourite one, especially after a hard day's work. It sums up the feeling of work being over and drinking having begun. 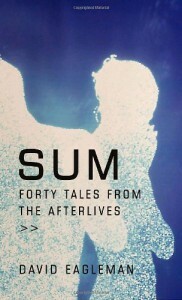 This will be a pivotal book for me. So far it keeps me enthralled. For so many years now I have put my German-ness into a big box and sat on it. Except for once (in my first book I relate the German story as seen from a child's POV) I never truly examined what happened in Nazi Germany. I felt like a kid who'd rather avoid the place where the ghosts dwell at night, whistling in the dark. So, watch this space. I am gobbling it up right now. Shall tell you what I found when I finish. So far it's the story of a likely lad who, because the circumstances were right, and he had nothing better to do, stepped into politics and became who he became. Fascinating. 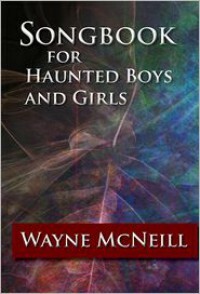 Last night I finished, sometimes laughing out loud, one of the most delicious books I’ve read in a while: the SONGBOOK FOR HAUNTED BOYS AND GIRLS by Wayne McNeill, published by Smithcraft Press (www.SmithCraftPress.com). Since I am only a passionate reader and not a professional critic, I can’t give you clever stuff about what the poet meant by what or why McNeill writes these poems in prose (well it’s called prose because he doesn’t give us line breaks). I don’t even care what you call them. The fact is that the book is magical. You can read it in installments, put it down (if you can) and pick it up again when you have a moment. More than likely you won't be able to stop once you started. You have to listen/read carefully or you miss it. All his poems are conversations with the ‘God of small things’. A railway track overgrown with grass, weeds, and wildflowers. Evidently, I’ll be a little late. It’s always raining when we visit our hometowns: a part of the charm I suppoe, and the melancholy. And it being November, the leaves are off the trees and blown to the curbside. A sketchbook and a piece of charcoal is all one can say about it. There are so many (in fact ALL of them, not one misses) that I have to stop. Do get this book, pour yourself your favourite comforter, curl up and enjoy. I haven’t had so much fun reading in a long time. Wayne McNeill was born, raised, and continues to live in Toronto, Ontario. His poems and short prose pieces first appeared in various Canadian magazines and periodicals as well as four chapbook including Angels Have No hearts and Lola. His writing has also been represented in several anthologies, most recently The Dominion of Love. The Greek neighbourhood he calls home, widely known as the Danforth, has been a source of inspiration for over thirty years. So I write a review. I want to share this collection of Bavetta’s poetry with everyone. Even with those who have not really ‘got into’ poetry (yet). What on earth do I say about something that’s as finely drawn as her pencil ‘paintings’, as delicate yet as strong as a spider web (with water droplets deposited on it which glisten like little jewels in the morning, midday or evening sun). Yes, well… I am in love. ATELIER on page 16 says it all. Bavetta is subtle, she paints pictures with words as she would with a pencil or a brush. Reading her poems I became lighter than gravity will normally allow me to be. Her poetry is very feminine, which has nothing at all to do with fluffy but with woman. Emotional, strong, nurturing, hurting, teasing, thoughtful and, above all, honest. 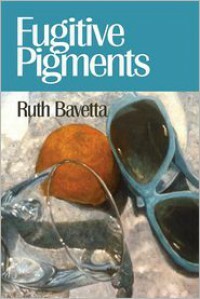 RUTH BAVETTA was a visual artist for many years until she realized she also wanted images that could be painted with words. 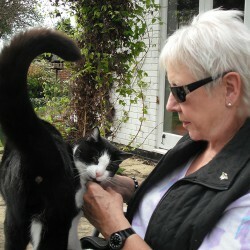 Her poetry has been widely published in poetry magazines and anthologies. Her art has been shown nationwide. She loves the light on November afternoons, the smell of the ocean, a warm back to curl against in bed. She hates pretense, fundamentalism, and sauerkraut. I am hopelessly in love with Swampy Woman. Lisa J. Cihlar's 'The Insomniac's House' drips with estrogen. And quite a bit of testosterone. And much more. When you meet Swampy Woman you meet WOMAN. No messing about. She is nature herself, loving and cruel, caring and indifferent, soothing and inflicting pain. She is delicate and gentle, harsh and unforgiving, wicked witch and angel. She is truth. She knows when to heal and when to let die. Cihlar has created ur-woman in this scrap book, with passion, sometimes tongue-in-cheek and always with skilled, sharp writing that cuts to the chase. You want to be moved somewhere deep inside of you? Go for it. Read 'The Insomniac's House' by Lisa J. Cihlar. No coherent or objective(?) critique from me here. 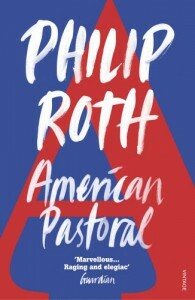 This book made me laugh out loud, swallow hard, re-think one or another premise, and/or simply delight in writing that's adventurous and accommodates flights of the imagination and speculation, yet the author handles language with total confidence, skill and aplomb. 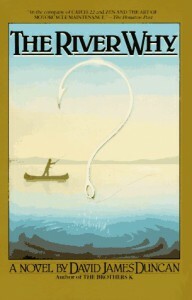 I LOVED 'The River Why' without reservation and shall let it stew a while before I read it again. In the meantime I'll timidly read another David James Duncan hoping fervently that the others match this one. I am half-way through. It's a diary without self-pity of a pitiless time in the jungles of Peru. Werner Herzog shot Fitzcarraldo here, where I live. So I don't live in the rainforest, but Lima, the capital. I know the rainforest and understand his frustrations and the culture shock for one used to the comforts of Europe or the US. Only Werner Herzog could attempt this films and actually see it through. Anyone else would have given up before even starting the project. Werner Herzog’s super-heroic feat of making an über-film like Fitzcarraldo in the Amazon jungle left me hot, frustrated, angry, and full of admiration for a man who wouldn’t be defeated. I would have given up the struggle when my socks disappear, my underpants I hang up to dry go awol, when my boatman reassures me (again) that he filled up the tank with petrol but then gets us stranded because he didn’t. And if not then, I would have opted out when my foot doesn’t manage to get into my shoe and I reach in, thinking of finding a bunched-up sock, my hand instead coming out holding a ginormous tarantula. Herzog, in an interview in a German magazine a while back, said, “For twenty hears I couldn’t bring myself to look at those diaries.” Quite. 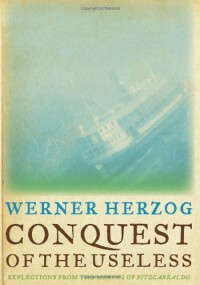 Conquest of the Useless: Reflections from the making of Fitzcarraldo is a must read for all those who want to get inspired by Herzog’s seemingly laid-back bloody-mindedness, to shudder at the prospect of ever following in his footsteps, and those who have seen the movie. I live in Peru and know the jungle some. I can assure you that every word seems true to me. Don’t let the title Homebodies deceive you. Sarah J. Sloat’s new chapbook is anything but [a homebody]. Her poems are whimsical, funny and surreal. One of my favorites (not the favorite, to leave this quite clear, one of my favorites) is Etiquette which combines all these attributes and even throws in a pinch of something akin to chili pepper. Melancholy is to be found as well as the sheer enjoyment of words. I delighted in this collection and have declared all 25 poems my favorites. 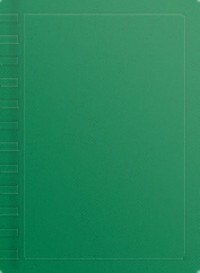 This chapbook will find a place among my poetry books where I can always find it again, especially since it’s beautifully bound with a green ribbon winking at the back. 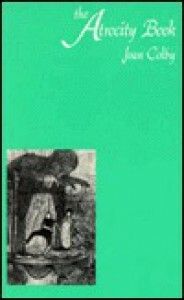 This collection of poems by Joan Colby should be mandated reading for all poets and poet lovers. And for the life of me I can't understand why Colby hasn't been made Poet Laureate of somewhere. The poems in THE ATROCITY BOOK are dark, loving, skillful, and sometimes make you shiver. All of them are exquisitely crafted and the quality of the writing alone leaves you breathless. The poem from which the collection takes its title is particularly haunting. After reading this you wonder whether Colby can top it. Believe me, she can and she does. There is little I can say except that this book is pure magic. What's it about? 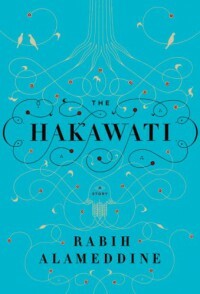 About love, life, enchantment, 1001 nights, family, fears, growing up, sadness, fun, pain. I can't offer a critique that would do this book justice except for saying: just read it! Dazzling, imaginative, funny, brilliant. I said that while I was reading it and I would say it again now that I've finished reading it. Most original, thought-provoking, haunting your imagination.